Does the Caged Bird Sing a Good Tune? Maya is out here trying to school these rap fools about this rap game from the grave. 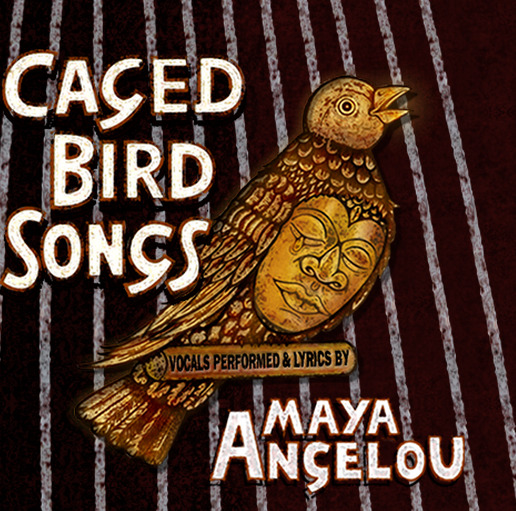 The posthumous release of Maya Angelou’s Caged Bird Songs by Smooch Music showcases a compilation of poems by the influential poet set to hip-hop beats. Shortly before her death last May at age 86, she said that this project was important because “it’s woven into the tapestry of our lives,” which may be true. But her words should never have been set to music. The album feels out of date, the product of old hip-hop heads. The beats, although they get your head bopping and your toes tapping, lack depth and complexity. This is no fault of Angelou’s. Her words are crisp and sometimes transcend the music. But the production is subpar. Reaching a new generation may have been the goal, but coupled with the old-school vibe, it misses the mark. Though the album is primarily hip-hop, it goes across genres and techniques. “Come and Be My Baby” is soulful, like something you and a date would hear at spoken-word night at the local café. In “On Aging,” Angelou employs Auto-Tune to correct the pitch. “Pickin’ ’Em Up” shows off funk and a groove that would keep the tempo up on a factory assembly line. Some songs are clichéd and reaching for relevancy. In “Africa” the poet uses a beat intended to mimic traditional African drums and African beats; this African felt that the effort was kind of offensive, because like the beats that come before, the work lacks depth or authenticity — as if someone took the pre-loaded beats in Garage Band and called it a day. One of Angelou’s greatest and most popular poems, “Still I Rise,” a testimony to resilience, becomes the greatest disappointment of the album. The producers had to nail this piece of writing, a seminal work that was performed at her memorial service, but they fell short. Angelou recites the poem with its full measure of defiance, supported by background vocalists. But the major-key home blues music takes away from the power of the poem and turns it into a ho-hum song. The album is a far departure from Miss Calypso, the album of syncopated rhythms and African influences that Angelou released in 1957. That earlier sound mimicked the calypso rhythms that were popular at the time, a tactic that she’s employed with Caged Bird Songs: taking popular rhythms of today and going crazy with them. “I’m the best that ever done it,” boasts a confident Angelou in “Pow Pow,” the second track, and she may be right. She may be the greatest poet the world has seen, but this production comes up just short. Maybe a great poet should have stuck with the spoken word.